I really had so much fun at the opening of the newest churreria shop in town: La Lola. It is their first store in Davao and in Mindanao, having a total of 16 branches all over the Philippines. 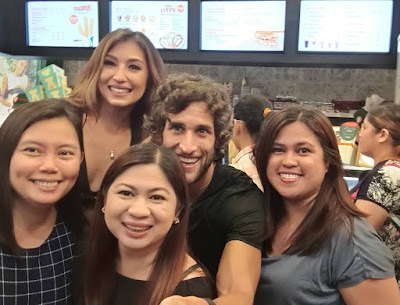 What made this event at SM Lanang Premier more exciting was the presence of its owners: popular celebrity couple Nico Bolzico and Solenn Heussaff, Maria Perin & Dani Aliaga. So, what makes La Lola Churros* different from the others? It started as a locally grown concept in Manila, aiming to serve the best authentic Spanish churros. Theirs is a work of art and is made with love. They serve large and chunky churros using the traditional recipe with a La Lola twist. And guess what? It is made fresh from scratch upon order, using only the finest branded ingredients (100% olive oil and special flour) sourced locally and made especially for La Lola. For churros you can choose from the Clasicos, Choco Churros and Xuxuos. 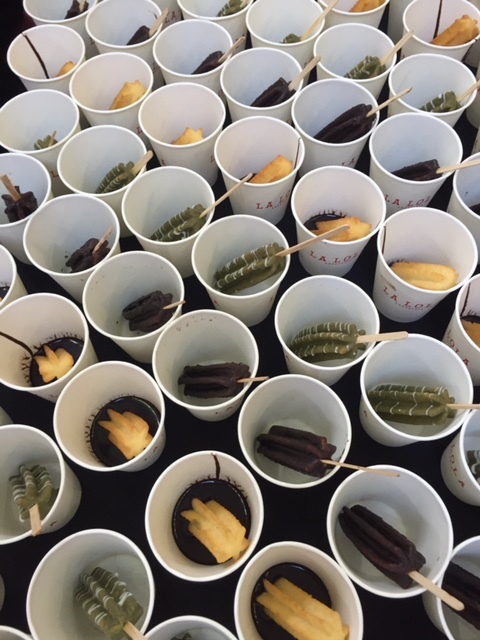 Then for dips, feast on Chocolate, Dark Chocolate and Matcha. They have Allioli and Salsa Brava sauces available, too. As for me, I go for the Clasico dipped on chocolate. With so much passion in this craft, La Lola aims to bring people together through their churros and xuxos, regardless of age, gender, class or background. So what are you waiting for amigos y amigas? Head over to the nearest La Lola Churreria in your area! 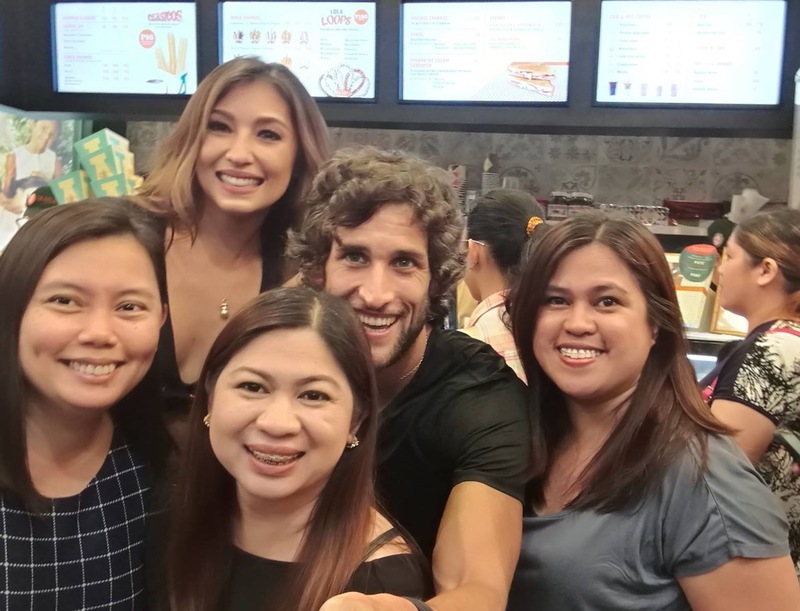 By the way.. me and my friends Tere and Jennifer had a terrific time sharing a photo op with the Nico Solenn. I am simply amazed they're so down-to-earth and accommodating when it was our turn to have a selfie with them. Thanks La Lola and Ms. Apol of SM Lanang for the invite. I had a great time, indeed!